Today’s Fireside Reading is particularly relevant as we gear up for another Thanksgiving holiday here in the US: For This Long Hair, Let Us Be Thankful, originally published on November 26, 2015. With his eloquent pen, El Moreno reflects on the many things we’re thankful for, not least of which the gift of growing our long flowing manes. 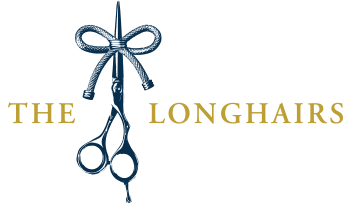 In that post we announced we would soon be launching a new product called Hair Ties For Guys, and that we would donate a portion of every sale to a charity partner, calling this little initiative, Longhairs Do Care. Three years later it’s evident this community does care. With your help, to-date we have donated over $20K to charity. Most of those donations have gone to Children With Hair Loss, helping to provide a quality hair replacement to over 1,000 children. On Tuesday, November 27, “Giving Tuesday,” we are launching into the public phase of our campaign to raise $200K for Children With Hair Loss. We hope to spread our message far and wide on Giving Tuesday, and we need your help. 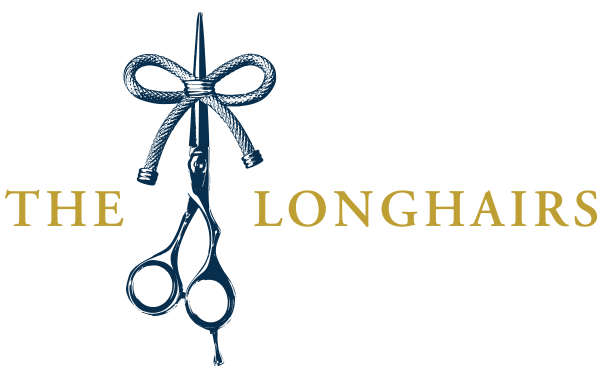 Visit The Longhairs team campaign on GoFundMe. Make a donation, small or large. Share our GoFundMe on social media. If you want to get more involved, join our team campaign. Stay tuned on email and social media over the next week. In the meantime, please visit thegreatcut.us. We have so much to be thankful for—not least of which, we are thankful for you listening today. Recognizing and acting on our gratitude is the surest way to make it all worth it. Stay tuned muchachos and muchachas, much more coming soon. Happy Thanksgiving, and happy living. This episode of Let It Ride is brought to you by our sponsors for The Great Cut. Visit our sponsor page. In the Insider’s Guide to Getting Our Best Deals This Black Friday, we break down how you can get the most value out of our biggest sale in history. So I have a question. Many years ago, I committed to the great cut and still plan to follow through, except I used to live in the southern Los Angeles region. I moved up a couple of states and now reside in the greater Seattle region. I was going to fly down but now I am wondering if I should just mail the hair. What I would have spent on the plane ticket, should I just donate that to the gofundme page instead? I would love to hang with everyone on the 16th, but I also really believe in the cause and want to help as much as possible. As always, thanks for everything you guys do for longhairs. Summary: Should I only mail the hair and use plane ticket money for a donation? I remember you telling us years ago that you would join, and very glad to hear from you now. We even quoted you if I’m not mistaken in one of our early blog posts about The Great Cut. Of course we would still love to have you attend. My suggestion is to start your own GoFundMe campaign to raise money for your travel expenses. You could cover your costs, join us in San Diego, AND make a donation to Children With Hair Loss. Of course, if you cannot make it there will be a way you can mail in your hair. But we hope to see you on 3/16/19! Well, you guys have been there for me when no one else was, and I did say I would. I should prioritize being a man of my word, not to mention it would be great to finally meet you guys. I am going to do what I can, in order to be there donating with you guys on 3/16/2019. I really hope there is a big turn out. Let me know if I can do anything to spread the word. Cesar! Man, you have been with us since the beginning! Where are you? How can we get you out here? Did you know you can create a GoFundMe to raise money for a trip out here? Hey Chris! I remember when you guys did not even sell hair ties yet! Currently, I am in the greater Seattle region, on the Kitsap peninsula. I already arranged to be in San Diego on the 16th and luckily scored some affordable deals on a flight to LAX. My family will be providing a place to stay as well as a ride to the event. I am nervous about the donation, but also committed. You can count on me. It has been awesome watching you guys grow and develop into an amazing business and I am excited at the chance to help you guys out a little. Cesar, man, it’s great to read your comment. So pumped you will join us…you were one of the first ever to inspire this whole idea. Please make sure we connect at the event. Thank you man, see you soon! I will be looking for you as soon as I arrive! See you in two days!